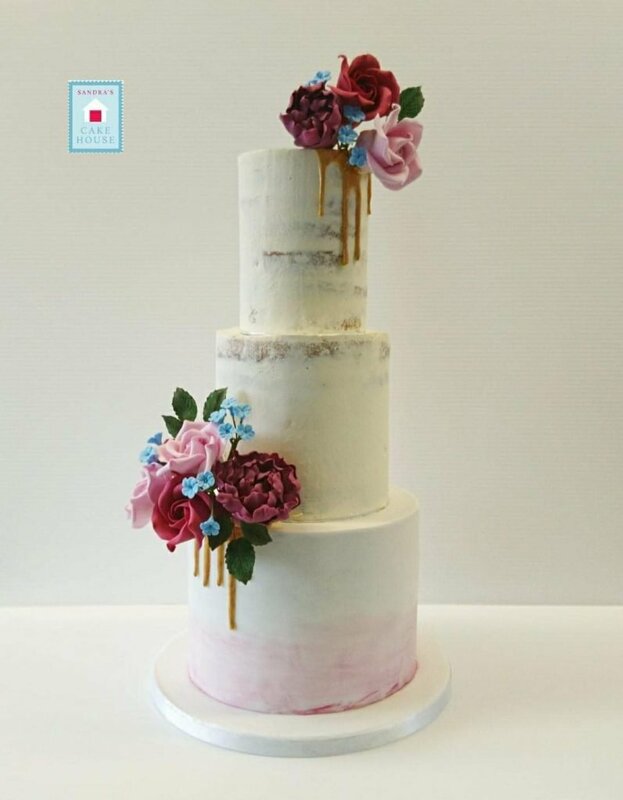 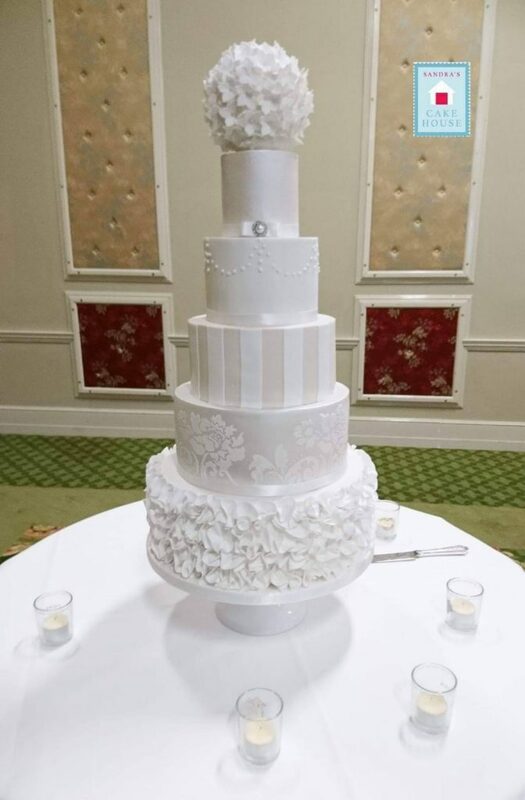 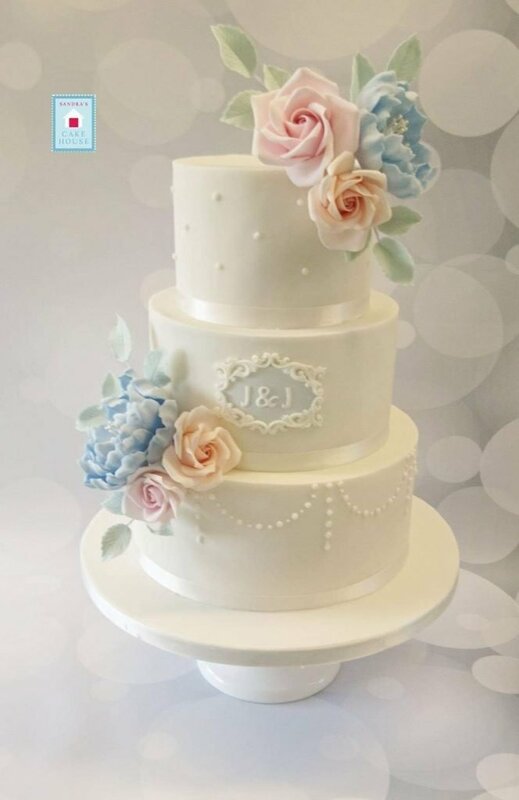 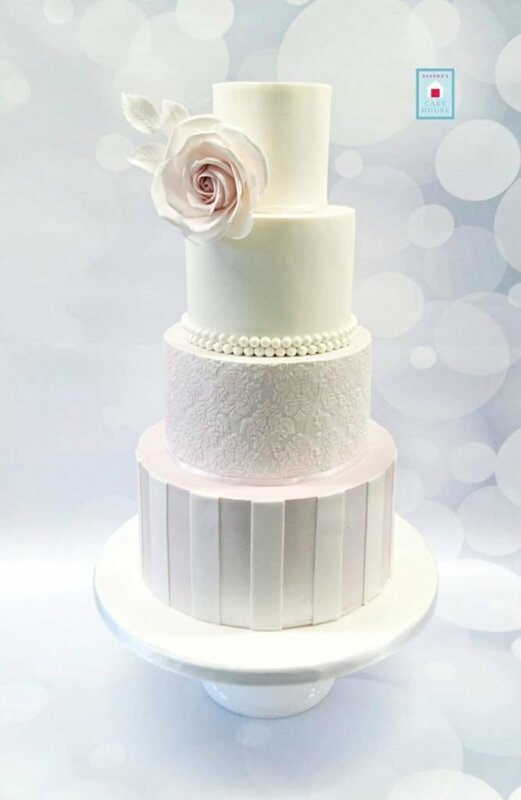 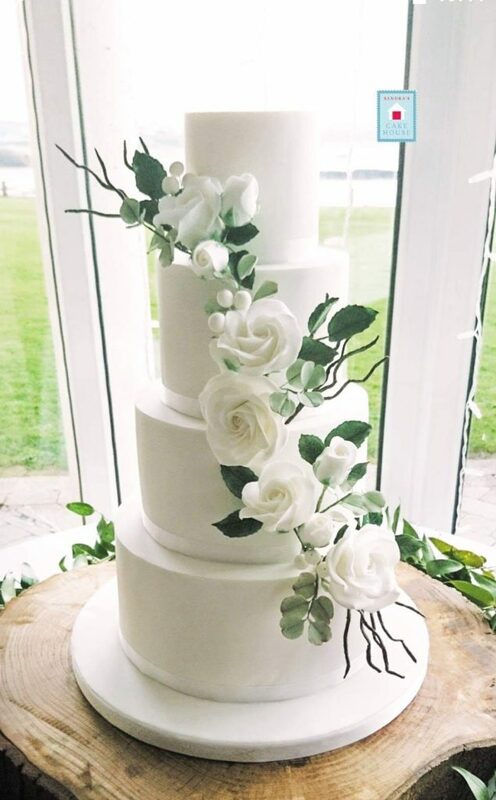 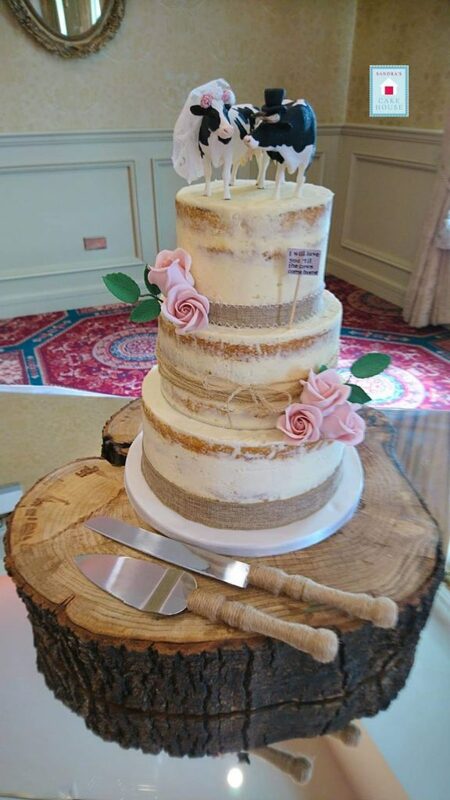 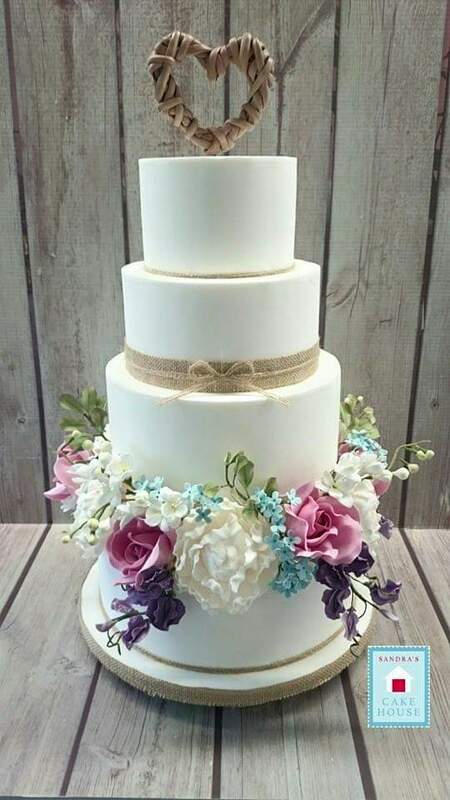 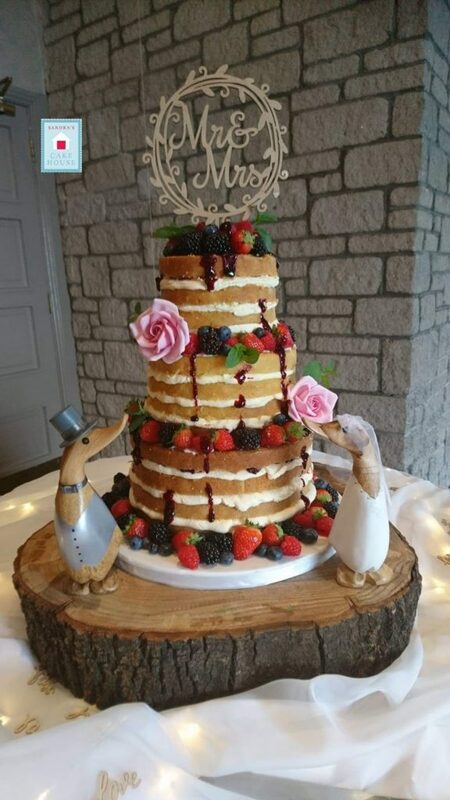 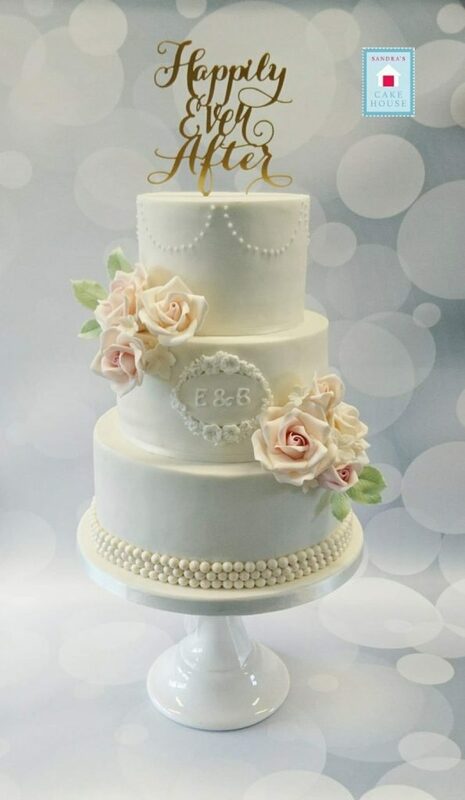 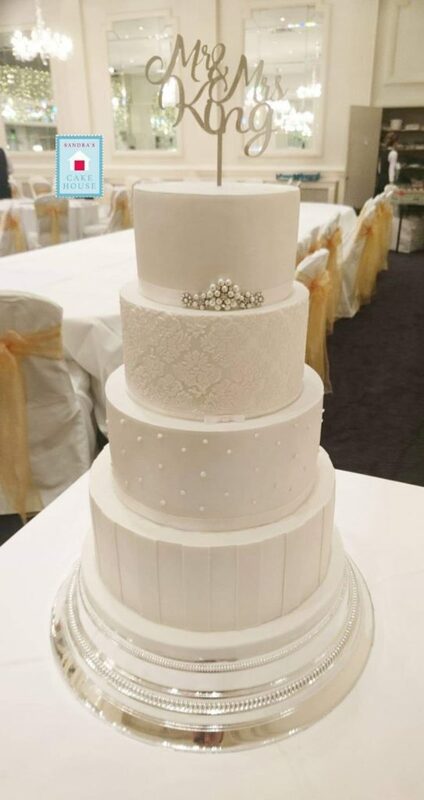 Run by Sandra Murphy, Sandra’s Cake House has been specialising in creating beautiful bespoke wedding and celebration cakes since 2014. 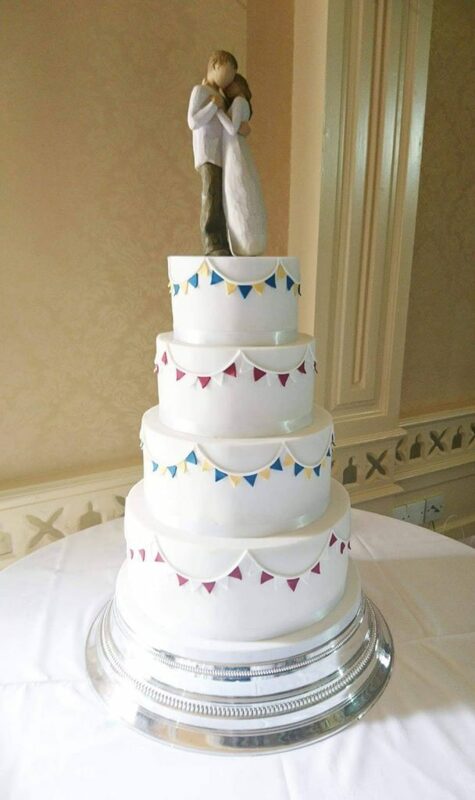 Working from a purpose built HSE approved unit beside our home, we offer a professional and personal service. 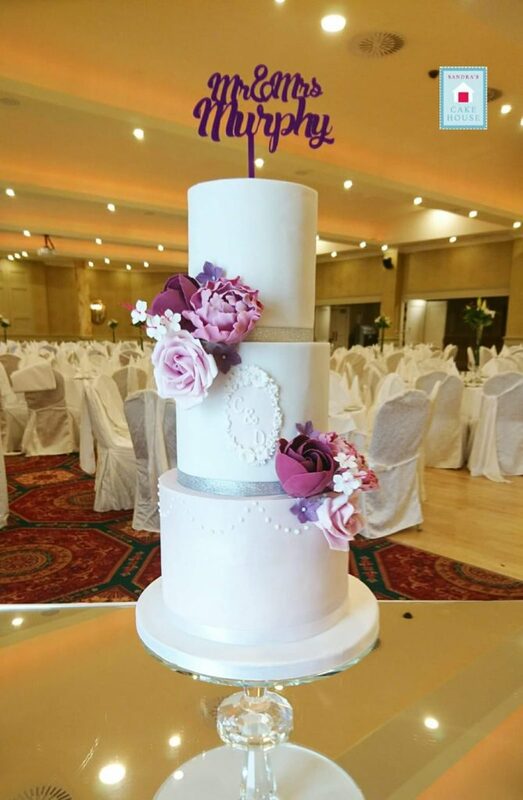 A €100 deposit is required to secure your date, with the balance required two weeks before your wedding. 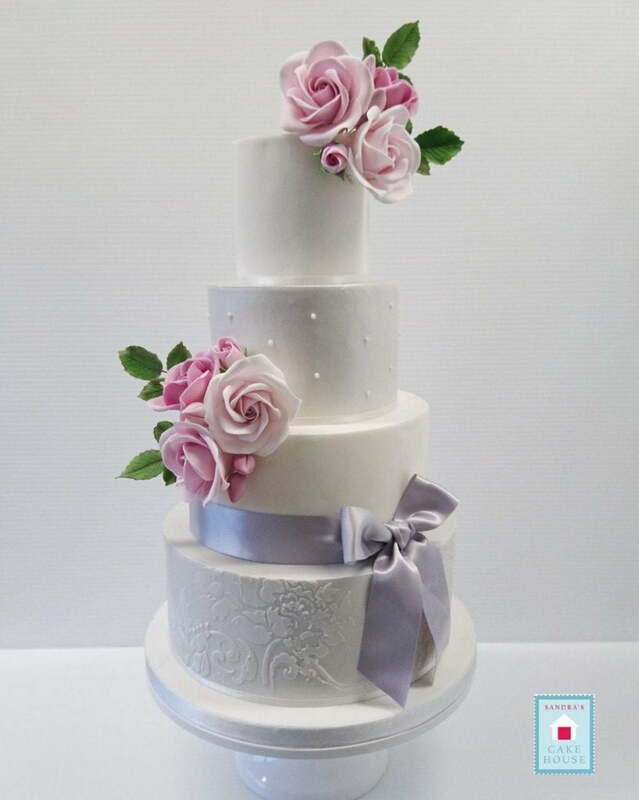 Consultations are by appointment only. 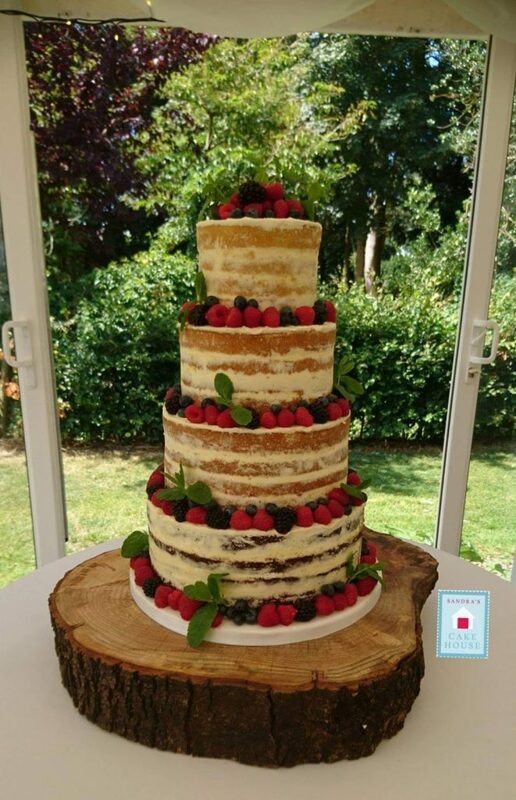 We hold regular cake tasting weekends where you both will have the chance to sample our cakes. 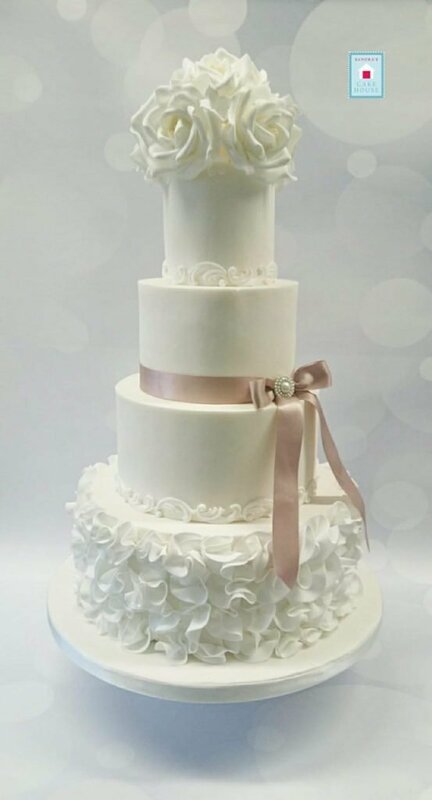 We deliver and set up all our wedding cakes to your venue on the morning of your wedding. 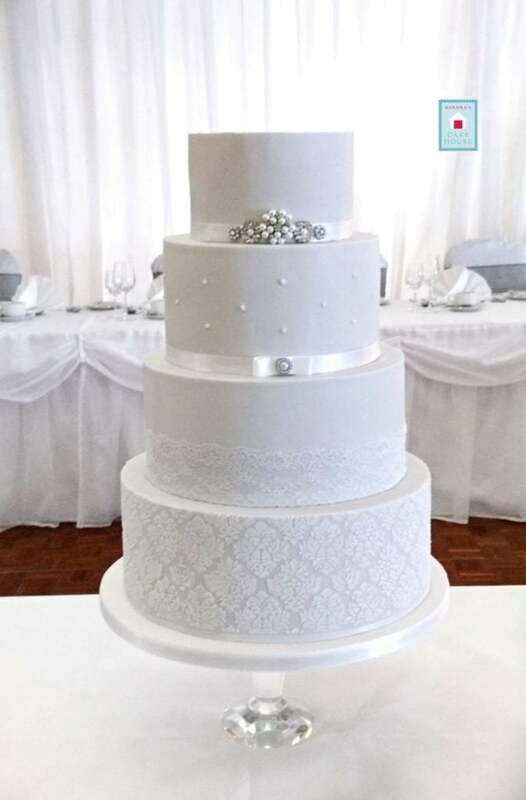 Delivery is included to venues within 80km of us. 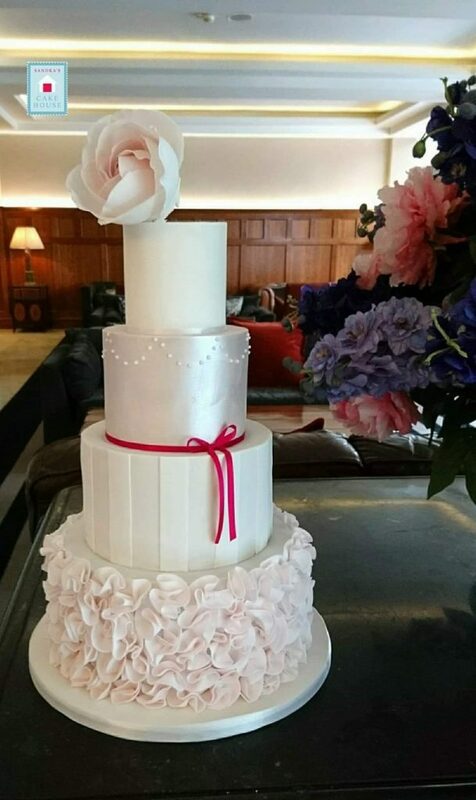 Other venues may incur a delivery charge. 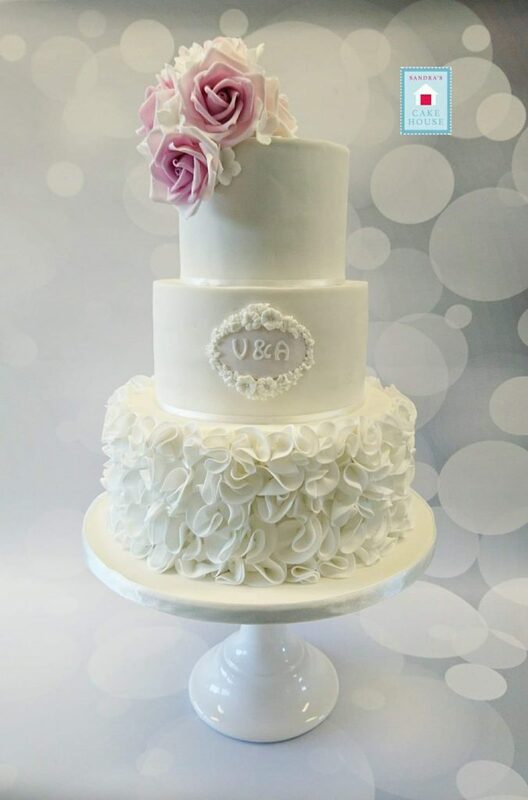 We encourage you to use one of our pretty cake stands at no extra charge. 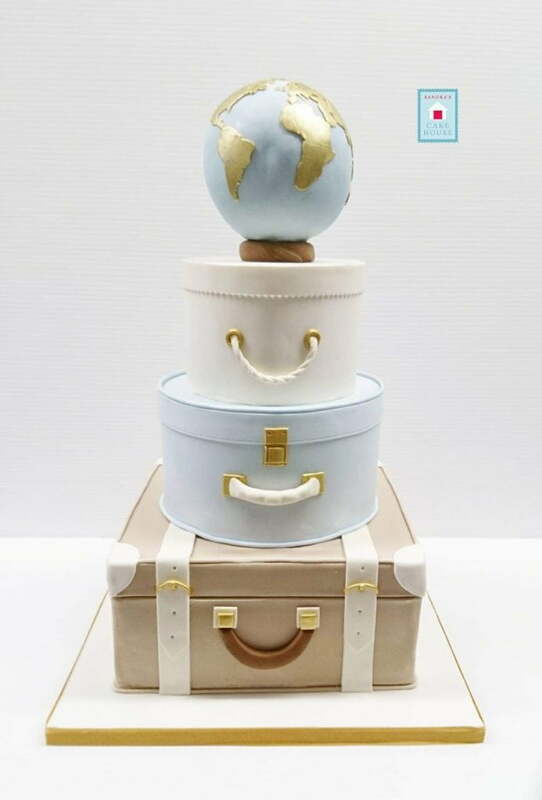 Our custom designed celebration cakes start at €80 for an 8 inch round, serving 15 to 20 approximately. 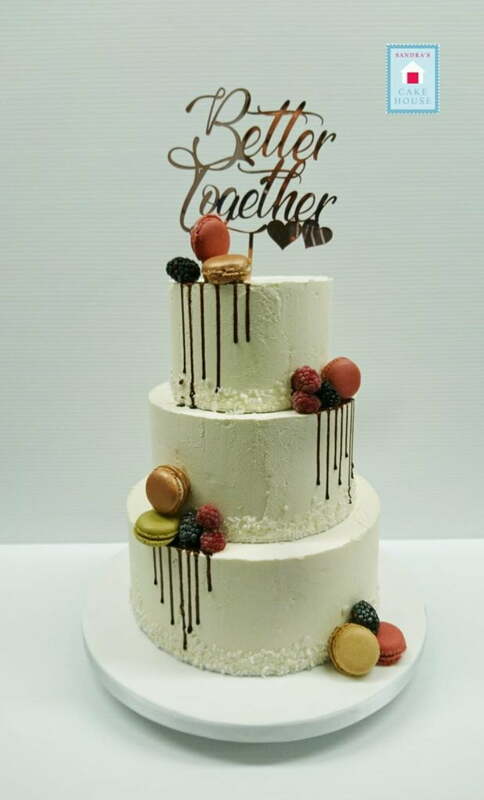 Celebration cakes are available for collection only.